← Testimonial – “…Amazing, thank you so much! On January 19, 2012 Joseph Shusteric and Rocco an American Staffordshire Terrier of Riverview, Michigan passed the American Kennel Club’s (AKC) Canine Good Citizen (CGC) evaluation at the Humane Society of Huron Valley, Ann Arbor, Michigan. 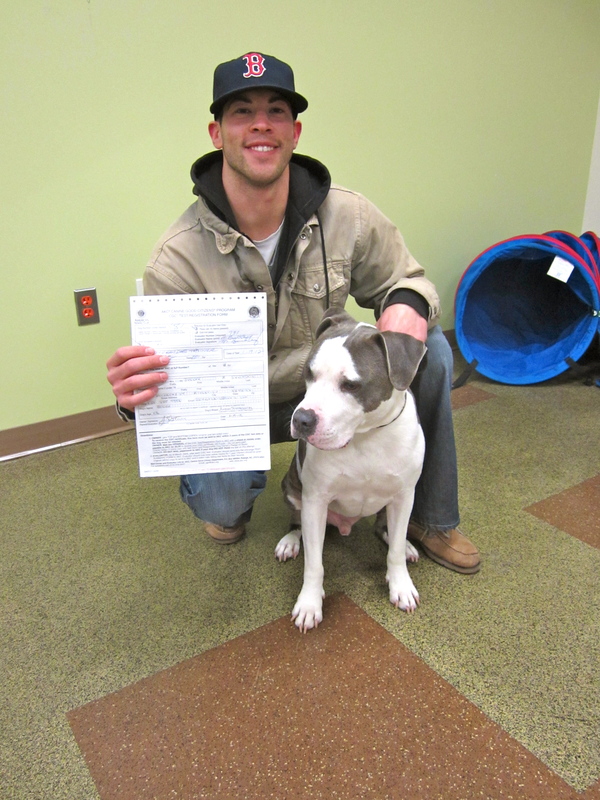 Rocco was evaluated by Michael Burkey of Michigan Dog Trainer, a certified CGC evaluator. Congratulations to Joe and Rocco! This entry was posted in CGC Stars, Uncategorized and tagged AKC, American Kennel Club, American Staffordshire Terrier, Ann Arbor, Canine Good Citizen, CGC, dog, Humane Society of Huron Valley, Michigan, Pitt Bull. Bookmark the permalink.